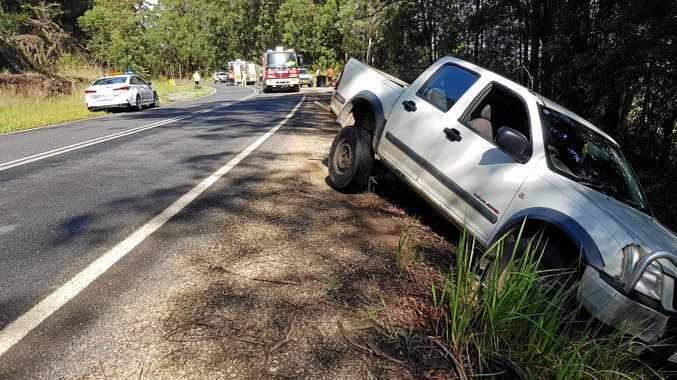 Peter FitzSimons was on the receiving end of an Ian Chappell sledge. THE only thing missing was Bill Lawry's summer soundtrack: "Got him, yes!" As the debate around the role of sledging in Australian cricket heats up following the damning cultural reviews after the ball tampering scandal in South Africa, former Australian captain Ian Chappell has shown there's still a place for the art of verbal warfare - off the pitch, at least. 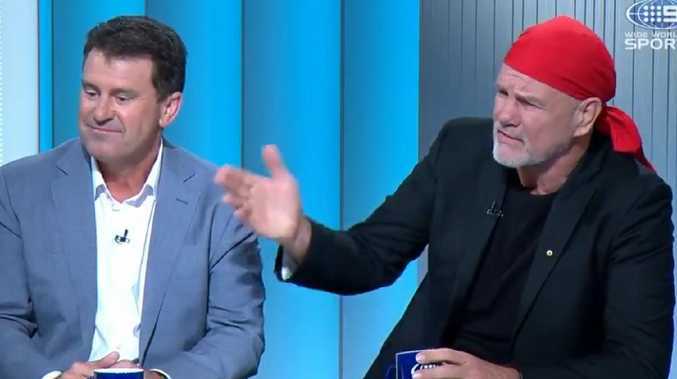 No fan of the vitriolic abuse masquerading under the pretence of "sledging" these days, Chappell took a more inventive - though equally as blunt - route to make his feelings about Peter FitzSimons known as the two sat on a TV panel on Sunday. Author and sports writer FitzSimons - a regular on Channel 9's Sports Sunday program - was questioning another ex-Australian captain and Cricket Australia (CA) board member Mark Taylor about comments Chappell made in the wake of the cultural review, which slammed CA and its hierarchy of being "arrogant" and "controlling". Speaking on ABC's 7.30 last week, Chappell said Taylor was merely "window dressing" on the CA board as he called for cricket nous and experience to take priority over commercial acumen at the highest level of the governing body. Taylor smacked down any suggestion he was only there for show when quizzed by FitzSimons on Sunday, saying his fellow CA board members "are listening to me but I think other people in the game aren't". "You're a much more polite man than me, is that your way of saying, 'I'm bloody well not window dressing, thank you very much?'" FitzSimons said. "Correct, you don't put people like me in windows. You get much better looking ones than me," Taylor responded. This exchange prompted a salty sledge by Chappell and, in return, a robust defence by FitzSimons. "Peter, where is it? I can't see it," Chappell said as other panellists wondered aloud what he was referring to. "The spotlight that you're always searching for." In reply, FitzSimons said: "Please Ian, seriously, it's a legitimate question and I'd ask for a legitimate answer. "It was an outrageous slur on a colleague of 20 years." Chappell and Taylor commentated on Channel 9 together for nearly two decades before Fox Sports and Channel 7 won the broadcast rights this summer, ending Nine's 40-year hold on Australia's national sport. To be fair, I thought I held my own and then some! The issue was Ian Chappell having described Mark Taylor presence on the board of Cricket Australia as "window dressing." Writing in his column for Fairfax on Saturday, FitzSimons said he was "gobsmacked" by Chappell's characterisation of Taylor and was looking forward to questioning both men about it. "On the subject of Mark Taylor, I was not the only one gobsmacked at Ian Chappell's characterisation of Taylor's involvement to this point," FitzSimons wrote. "I work with Taylor on Channel 9's Sports Sunday - where Chappell also occasionally appears - and know him reasonably well. Taylor is an interesting character with an affable nature covering a steely spine. I know not what he thought of Chappell's dismissive characterisation, but if it was me, I would invite Chappell for a full and frank discussion behind the woodshed. "Fire at will, Ian. That was an outrageous insult to someone who has enormous respect in the cricket community, and with whom you have worked for 20 years." Taylor referenced his colleague's comments earlier in the program before FitzSimons faced up to Chappell's bouncer. He gave a passionate defence of the work he's been doing, particularly in improving the relationship between CA and the Australian Cricketers Association (ACA), which was extremely critical of CA in the wake of the review and demanded banned trio Steve Smith, David Warner and Cameron Bancroft be immediately reinstated. "Yes I am critical (of the ACA) and I've tried not to be," Taylor said. 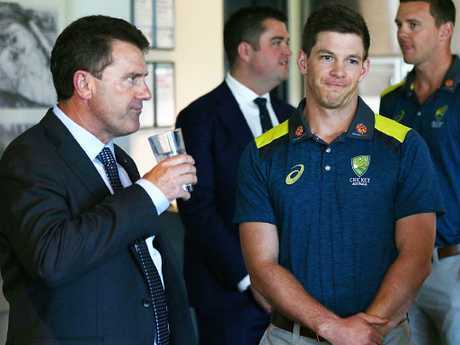 "Chappelli said I may have been window dressing - I can tell you that I have worked tirelessly over the last 12 months in particular to try and get a better relationship between the cricketers and the board and Cricket Australia. "I don't think they actually asked the players if they wanted that done, so the three players have now got to sort of file in behind them. "That straightaway puts the Cricketers Association and Cricket Australia at odds because we are going to have this debate now in the public arena about whether it should be released or not. "The problem is, once again in the words of Longstaff, it is going to be a win without counting a cost. The cost will be the three players in the middle and their culture and their mental health over the next, whatever it is, month or two months, however long it takes … to get this sorted out."